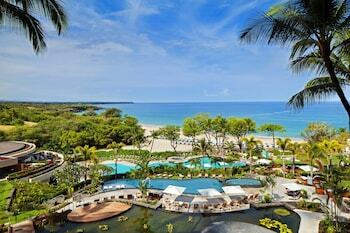 Expedia can help you save with a Kona Coast vacation package. With all that extra cash in the bank, you might even like to book a few additional nights. 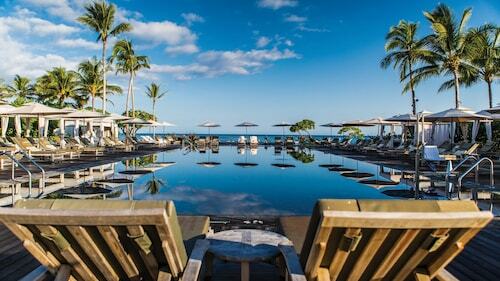 Secure your deal on Expedia and earn savings of up to C$590*! It really is that simple! With us, you'll have more than 400 airline partners and 321,000 worldwide properties to select from around the world, which means your dream vacation is only a few clicks away! 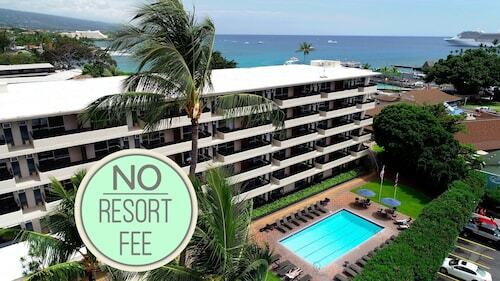 You may cancel or change almost any booking and you won't have to pay a cancellation fee to us. 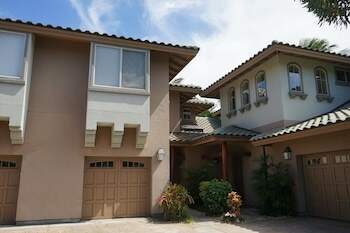 Almost ready to embark on your Kona Coast vacation? Don't know what things to put on your travel schedule? Don't worry — we'll give you a few of our top tips. 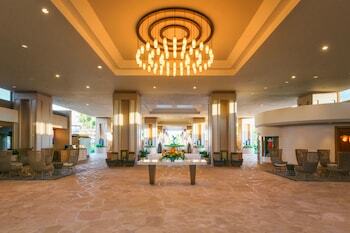 Not just for millionaires, country clubs offer leisure and sports activities in a sophisticated environment. 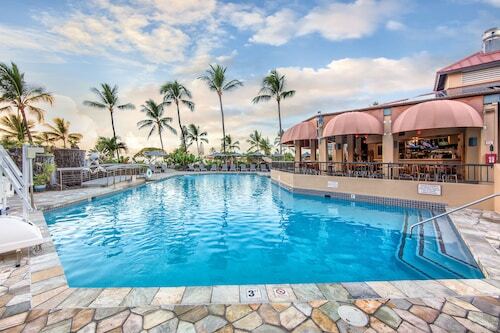 If you're feeling swanky, why not enjoy the entertainment provided at Big Island Country Club? There's a wonderful range of things to do in and around this destination. Whether you're trying to hit a hole-in-one or simply in the mood to brush up on your technique, you'll have a blast at Makalei Golf Club. Still got time on your hands? Learn a bit about rural plant life and agricultural methods at Mountain Thunder Coffee Plantation. If you're going to take the young ones, they'll love hearing about how the animals are looked after. Are you looking to create some incredible memories? A getaway is the ideal time to have a crack at exciting new experiences. 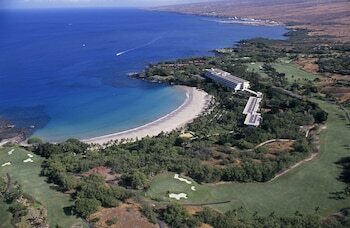 For more options, take a look at our Kona Coast things to do page. Haven't booked a place to lay your head yet? 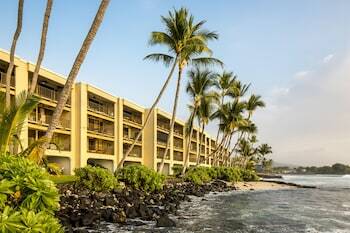 Kona Coast has only 4 properties, and the very best packages for luxury getaways and cheap vacations go in no time. The nicest island-based properties are the Four Seasons Resort Hualalai (72-100 Ka'upulehu Drive) and the Ohi'a Park Estate (73-4671 Kahualani Rd). 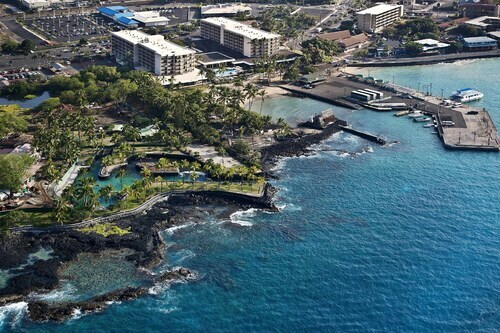 Have you booked your plane tickets for your trip to Kona Coast yet? 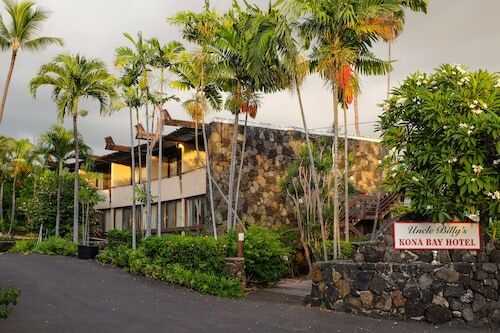 When you land, get ready to stroll out into Kona International Airport (KOA). It's 9 miles (14 km) from here to the downtown area. Great place to stay. 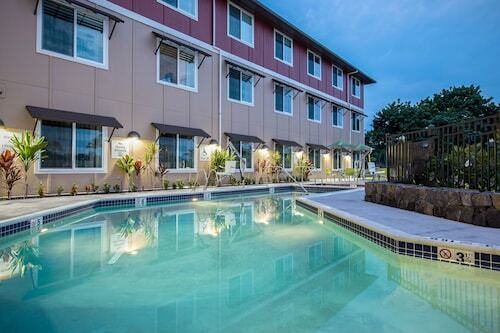 The bed was great and so nice to go to the pool everyday. Came for a restful vacation and we definitely got it. Staff is great! Free breakfast is good. Rooms are perfectly clean!! You pay $10/night for parking. Perfect location. 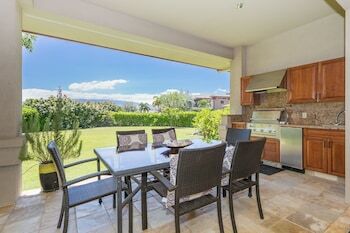 Right by a rocky Beach, shopping, food and a Farmers market! Vancouver Intl. - Kona Intl.